J and I were given a giant bag of oranges, and by giant I mean giant. 10 kilos kind of giant. 10 kilos between 2 people is an a lot of oranges. It's just lucky that I like oranges a lot, and we're now down to the last 20 or so oranges. That's still a lot of oranges but I've got plans. We've made a lot of juice, which is good because I've been feeling a bit under the weather lately and oranges make you strong... or something like that. Either way, there's only so much orange juice one can drink. 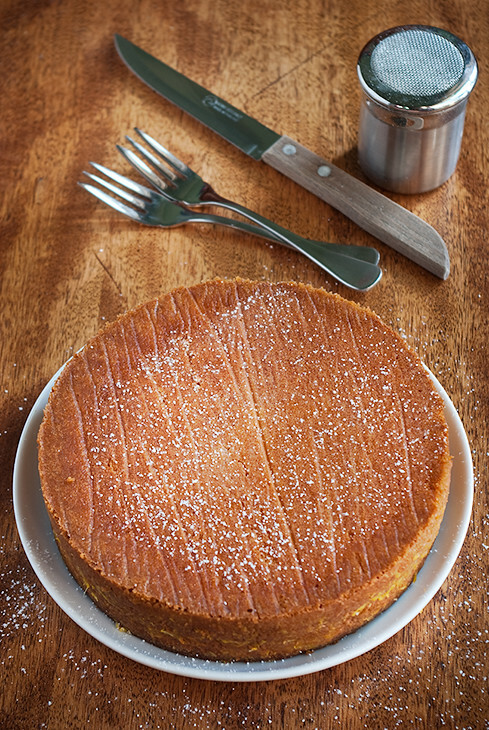 So, when life gives you oranges, make orange juice and then orange cake. Orange cake is, in my view, one of the most underrated cakes. It's so underrated that none of my cook books had a single recipe that called for orange juice rather than just orange rind. Luckily the internet delivered better results leading me to this recipe from Passionate about Baking. I'm glad I found this recipe as I feel it will quickly become one of my favourites. If I were to make this again I would make it in a larger pan. The recipe recommends a 16cm (6 inch) pan and even though I made mine in a slightly larger 18cm (7 inch) pan it was still to small and the cake peaked far to much. Next time I'll use a larger 20cm (8 inch) tin instead. So, if life gives you oranges, make this cake. Preheat the oven to 170°C (340°F), grease and line the base of an 20cm (8 inch) cake tin. beat the butter and sugar together in a large bowl using an electric mixer until lightened in colour and texture, about 3 minutes. Add the egg yolks, one at a time, taking care to thoroughly combine each yolk before adding the next one. Beat until smooth. Add the Cointreau and beat until combined. In a separate bowl, whisk together the flour and baking powder. Reduce the speed mixer to low and add the flour gradually. Mix well. Pour in half the orange juice and all the orange rind. Mix until just combined. In a separate bowl, beat the egg whites and a pinch of salt to firm peaks. Fold 1/4 of the egg whites into the batter to lighten it, then fold in the remaining egg whites. Pour the batter into prepared pan and bake for 1 hour or until the cake is deep orange and firm to the touch. 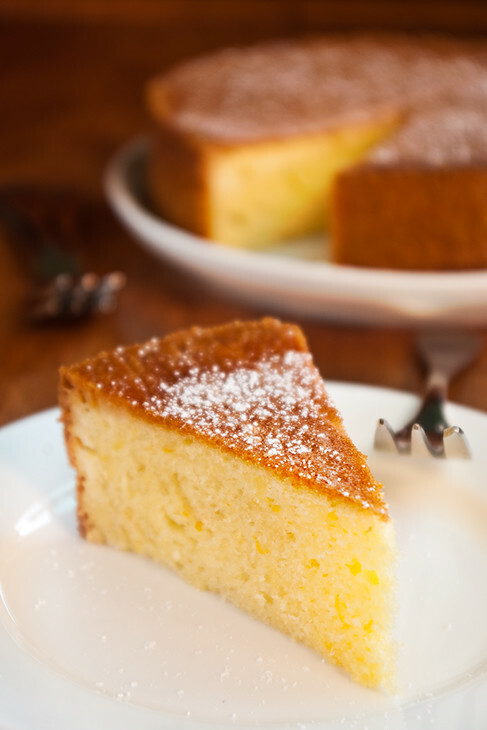 Remove cake from the oven and slowly pour the remaining orange juice on to the cake whilst it is still warm. Cool in tin for 20 minutes and then unmold and place on a wire rack. Serve with icing sugar. Lovely photos and this cake sounds just delectable! Just discovered your blog for the first time and will definitely be back and often :).